I knew they would work well with a few of our fall primary songs, It's Autumntime and/or Autumn Day. The leaves are really simple to prepare - laminated leaf die-cuts with a hole punched into them and about a 8 inch string attached. 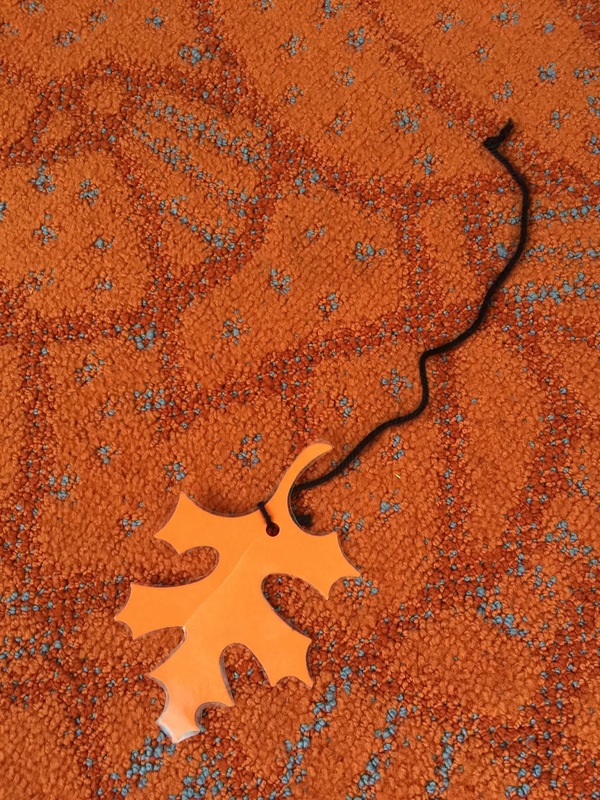 When we used them in storytime, each child got a leaf and held it by the string up high (while standing). As we sung, the leaves started falling downward, in a back-and-forth motion. We ended with the leaves resting on the ground. The kids LOVED it! What a great fall wiggle song! o Write the words on the chalkboard before primary. As you and the primary come up with actions, erase phrases as actions are learned. o Repeat having the kids mimic the actions while you sing, or while they listen to the songs on CD. o Sing each phrase to them while they echo it back while still mimicking your motions. Then put it all together without the echoing. This is such a beautiful time of year. The things that make it so beautiful are the colorful autumn leaves falling. Download my To-Go Lesson Plan HERE which includes all of the above information. **This could also be a fun activity to incorporate into Nursery! We do the same thing! I also do the "Rain Is Falling All Around" song substituting "leaves" for rain. Nursery kids especially love these songs/leaves. Thanks for sharing all your ideas!! I LOVE this! You said you do this with Jr. Do you not do it with Senior then? Or have you tried it and it wasn't bad? I m having trouble loading the to-go lesson plan. It is down loading I will follow gods plan great lesson plan.. but not the Autumn song.. Sorry about that - I had the wrong link. I've corrected it. Thank you for letting me know! I ended up doing it with both primaries and both of them loved it! I need to update the post. As a brand new Primary chorister, your blog is a blessing! Thank you for posting your hard work!